Spring is probably my favorite season to dress for in the classroom. Yes, I do love fall - the beautiful colors, the changing leaves, scarves! But I love being WARM. Sitting outside with the sun shining on my face just brings me some sense of inner happiness that I can't put into words. So when the sun comes out about this time of year and starts shining early in the morning until later in the evening, my spring teacher outfits dust themselves off and make their way out of my closet. 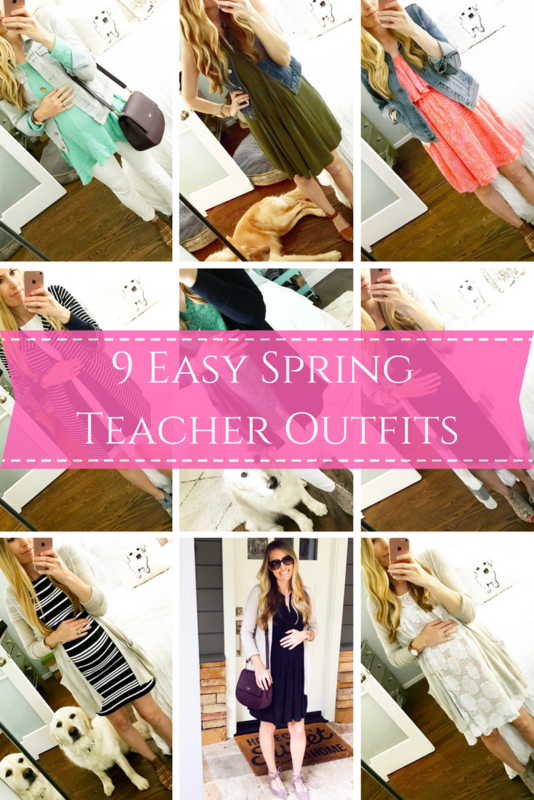 Some of my go-to spring teacher pieces include dresses, skirts, and white denim jeggings (you can never go wrong with white denim jeggings - they're spring's answer to the winter black denim jeggings). Looking for more teacher fashion inspiration? Sign up for my newsletter by clicking here! You can grab the dress here and the rest of the outfit below. So many great ideas and I love your pup! I need to show my roommate this!!! 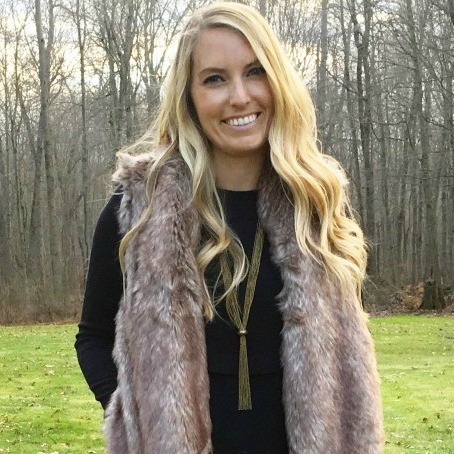 Love that black midi dress with the long cardigan! Oh my goodness! You dress so wonderfully! You are the kind of teacher that as a kid I would have thought, "I want to dress like HER when I grow up!!" I especially love the green dress accessorized with the denim vest (totally stealing this idea) and the striped dress + cardigan combo. Love these great options. I'm not a teacher but I'm a social worker and starting to work in a school in a couple weeks so these were great options! These are all so beautiful! I LOVE these looks and how you styled all of them! You are the cutest teacher around!! What a fabulous roundup! I couldn't pick a favorite look if I tried! You are so cute in all of them. And I love your little furbaby photobomber hehe! I'm loving your spring dress collection. So cute! White jeans were always my go to piece as a teacher! These outfits were really pretty. 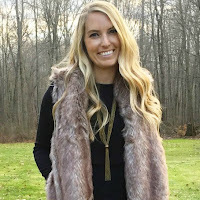 It's a great post and I know my teacher friends would love your style. I am loving all of these looks! I am a huge fan of pairing a denim jacket with a great colorful dress. Fabulous looks! These are all some great outfits!! I love all of these looks but especially that striped dress - it looks amazing on you! love all these looks! such delicate spring layering! #1 and #2 are my faves. All these outfits are so cute! And I love your photobomber! My cat always photobombs my photos too! such great outfit ideas! and you have the best hair!